Each event will follow the same format with a, Sunday morning trail rider friendly, 1hr or 2hr Enduro Challenge followed up by an afternoon of British Cycling affiliated Cross Country races. Each event will deliver a fun day of bike racing paired up with courses that deliver technical but hugely rewarding terrain. One unique element to the series is ‘Rookie Rides’ a free Enduro entry and skills training session for new mountain bike owners. It is open to anyone that purchases a bike from participating shops across the South West region this summer. Rookie Rides – Free Enduro entry and skills training for new bike owners that purchase a bike from participating shops across the South West region. Free RaceFace Circus of Dirt t-shirt for series pre-entries before April 1st. 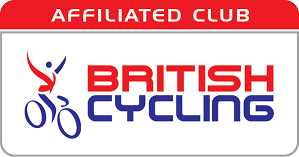 British Cycling Go-Ride Event for under 12s at every round. 1-hour or 2-hour non-competitive enduro at 10am at each round. Courses that are fun and technically challenging. Enter online at www.shredevents.com. Enter gour rounds or more before 1 April and get a free RaceFace Circus of Dirt T-shirt. Also; the organisers are looking for volunteers to help with marshalling. They need reliable people who can commit to helping at one or more of our races. You might be a competitor or a supporter. * If one of your supporters marshalls for us we can offer you a free race entry for that day. * If you decide to miss an event and marshall for us yourself we will give you average series points for the race that you missed out on (calculated at the end of the series) AND a free entry to the next event. Fancy being part of the Circus of Dirt? Contact Tel. 01752 663666 for more details or to let us know which round you are available for.